What makes a saw blade a precision blade, begins with the saw plate, i.e. the body. 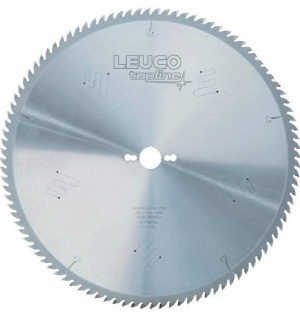 The larger the diameter of the saw blade, the more important the plate quality is. 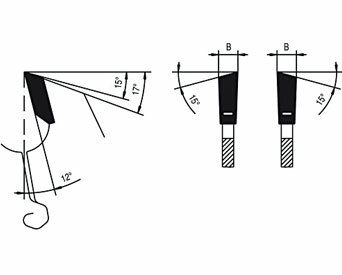 The tensioning of the saw body, which keeps it flat and running true is paramount to achieving a good finish and maintaining cut quality for the life of the saw blade. Once the plate is warped or "dished", the chances of correcting the tension successfully diminish and the blade becomes useless. 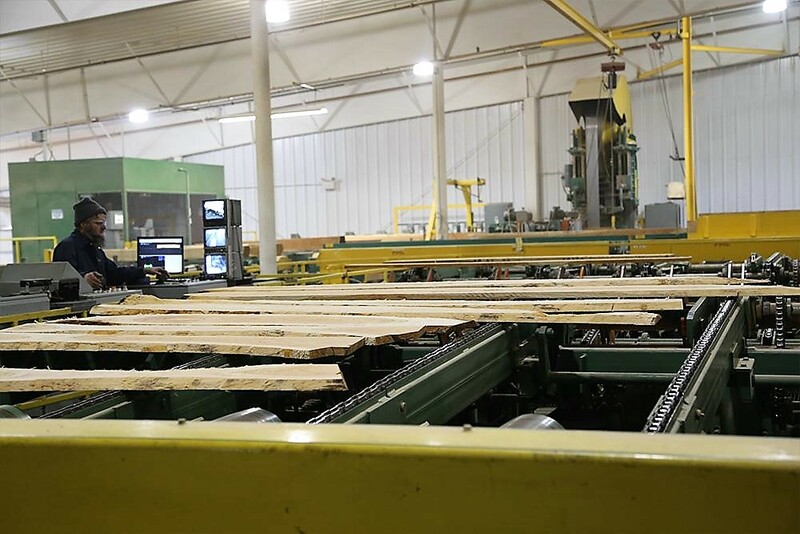 A quality saw plate will feature expansion slots that help reduce noise and disperse the heat created during cutting, allowing the plate to contract and expand as needed during the cutting cycle. Tooth geometry, size and carbide grade utilized are also important to take a closer look at. The correct tooth geometry is essential to obtain the desired quality of finish on the product being cut - more about this in a minute. The size of the carbide tip will dictate how many times a blade can be sharpened so a smaller tip will typically be seen on a less expensive blade, (i.e. less carbide=lower cost). The grade of carbide used is something that cannot be discerned by visual glance -- and the difference can be quite startling between an industrial grade saw blade and one made for the do-it-yourself/retail market. Tungsten carbide is produced by binding hard carbide particles with metallic binders and the quality, binders and particle size used all play a role in the final cutting tip performance of a blade. Some carbide grades are far more suitable than others to machine different materials, for instance, composite materials. The same applies to solid wood, softwood, etc. A general purpose blade is, as its name implies, designed to take on any task and provide average results. It is not designed to maximize performance or finish. For higher volume and demanding cutting applications, choosing the right blade will net a lower blade cost per panel cut, and will insure an accurate cut and good surface finish. Below are some of the more popular tooth geometries and their uses. This blade with flat top teeth is designed for ripping solid wood. A rip cut is simply a parting cut that is made parallel to the grain of the wood. This particular design, with the "hump" on the shoulder behind the tooth, (the technical term is "chip limiter") is to help reduce the chances of material kick-back. You can find a great explanation of this phenomenon at this link: http://www.raygirling.com/kickback.htm). The tooth design is an alternate top bevel, ATB for short, and primarily used to cross-cut solid wood (hardwood and softwood), plywood, veneers, lattice and other homogeneous materials. The alternating tips, one left, one right, around the entire blade circumference, provide the best surface when cutting wood across the grain. Some specialty rip saw blades feature this ATB design as well, however, they will have deeper gullets (the "valley" between the teeth) to insure that the chips evacuate the cut and don't generate heat. This saw blade tip geometry is a triple chip grind (TCG) commonly used to cut non-ferrous metals and composite materials such as laminated particleboard, MDF and other panel materials. If the material has a laminate on both sides, then this design would not be the best choice unless the machine it is used on has a scoring saw unit that precuts the bottom of the panel when the blade exits the material. Note that one tooth has the corners chamfered, and the next tooth is a little lower and flat. They alternate in this manner around the circumference of the blade, and this geometry serves to prevent chipping on the top surface finish (as well as the bottom when a scoring blade is used). This tooth style was developed specifically for cutting coated (laminated) panels on a table saw or vertical saw, to provide a clean cut on top and bottom of the panel when the machine it is used on does not have a scoring blade. The downside to a hollow face blade is that only very few saw sharpening folks have the ability to sharpen this blade properly. It requires a face grind (special rotary grinding attachment needed) every time the blade is sharpened or the performance will suffer. The Hi-angle ATB was developed as an alternative to the hollow face blade due to difficulties in getting a hollow face blade sharpened properly. The HI-ATB grind provides the same clean cut on the bottom of the panel when the blade exits the material, but this design, too, has a down side. Due to the very aggressive cutting angle at the tip, the blade does not stay sharp as long as a standard ATB or TCG blade. That covers the most popular saw blade tooth geometries in the market. There are many more variations for specialty applications that make additional improvements to cutting performance for very specific materials, such as modification of hook/rake angle, clearance angles, gullet size, chip limiters, adding wiper slots etc. As an example, a modified ATB grind with a zero degree hook angle performs very well on solid surface material (such as Corian) and acrylics and looks like an ATB Blade with the points ground off and chamfered. In summary, there are many factors that determine how well a saw blade will perform in the cutting process so if a saw is in use a lot, it is of utmost importance the right blade is on it in order to save money, improve efficiencies, quality and finish and reduce downtime.